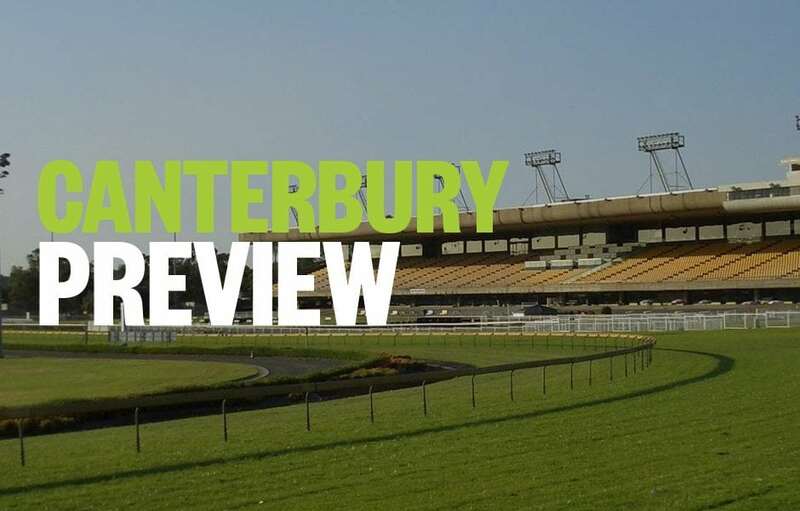 Palmerbet Racing Team preview Friday night’s Canterbury meeting, with horse racing tips & analysis for all eight races on the card. Good luck, punters! The field here is pretty even. Tough but fascinating race to start the night. SILENT EXPLORER is honest but needs to be here with huge weight and bad alley. Game 2nd this grade last start. ALIER is on the up. Has Hughie to ride and worked home impressively to win a similar race last start. SAVIGNE is a maiden but gets to the line well. Place show. ROCK looks the winner. His 2nd at the Gold Coast when wide and back in a very strong mdn was eye-catching. Should settle mid-field and simply be too fast down the home straight. FRONT SIGHT has the rails draw and ability. Ran terrific 2nd this grade on debut and should be fitter. HAIKILI is 2nd up here. Last campaign ran a couple of placings this grade. SHERIFF has been set a task with this weight but his form has been outstanding leading up to this. Is very fast and strong won past 2 starts looking better than this grade. LUCAND LAD resumed from a spell in a tough race last start and was luckless during the run yet placed 2nd. Looks pretty talented. DECOR is up in grade but has a bit of talent shown with a strong mdn win last start. Place. Watch market. A very even affair. BULL MARKET was impressive and strong when on pace all way last start winning a similar race. Up in weight but is in form and this isn’t any stronger. BEAUTY KANAS is racing in terrific form of late this company. Is reliable and tough. CHARLIE CHAP will get back and be big odds but is capable on his day and is due. Fascinating race. Hard to overlook SEDITION as one of your main numbers. He has run a close 4th, coming from well back this grade over 1100m and a closing 2nd this exact grade last start. Is fit, drawn well and inform. MY BLUE JEANS is being set for the Country Championships and has talent. Hughie booked is a good indicator. Can hit line hard. ROMANI GIRL is bred to stay and is very smart winning last 2 starts before spell. Is on target for the Gr 1 Oaks so expect her to get back and run on. PRINCE MAYTARD is a tough, battle-hardened bush sprinter who resumes here. Should go well fresh. INVINCIBLE GANGSTA is on the quick back-up after a solid win in slightly easier company last start. Is fit and trainer knows how to win races. HAPPY MO has raced twice this time up and looks ready to run a bold race here. Lots of runners but Chris Waller looks to trifecta the race. Which order though? TRAFALGAR is 4th up and has placed twice this grade so is very ready. WAYANKA is 2nd up after a strong 4th and has Hughie to ride so rates highly. WINE BUSH resumes here and will get back but does have a strong finish and is a dual acceptor from earlier this week! Looms large. OUR GRAVANO ran a cracker of a race this grade last start when checked a few times yet rattled home for 4th. Fitter now and looks the one they need to hold out. Weight allowance a big help too. FABRICATOR and TRIPLE HERO are both very fit and both been up a while. Both are strong this grade and are racing well. This looks the trifecta.